Two methods for extracting detailed formal dependencies from the Coq and Mizar system are presented and compared. 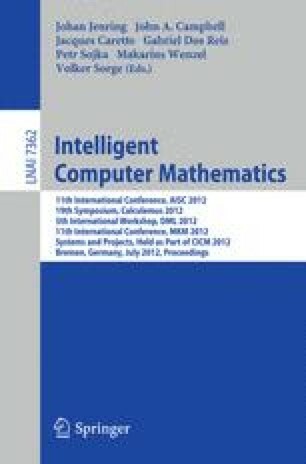 The methods are used for dependency extraction from two large mathematical repositories: the Coq Repository at Nijmegen and the Mizar Mathematical Library. Several applications of the detailed dependency analysis are described and proposed. Motivated by the different applications, we discuss the various kinds of dependencies that we are interested in, and the suitability of various dependency extraction methods.